The band’s new album, ‘Help Us Stranger,’ is out June 21. 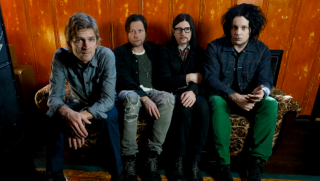 The Raconteurs Unveil Two New Songs, "Sunday Driver" and "Now That You're Gone"
It's the Jack White-led band's first new music in ten years. Work begins on follow-up to "Broken Boy Soldiers"